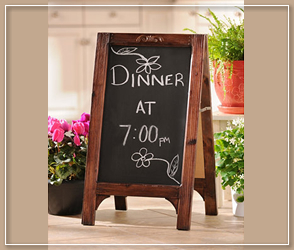 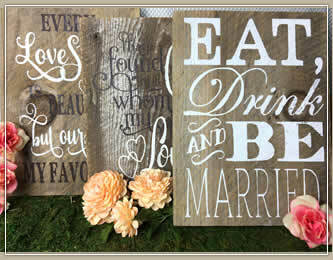 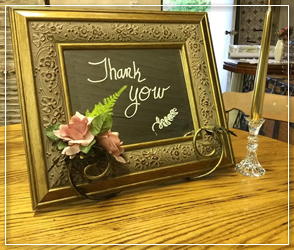 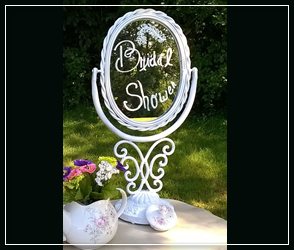 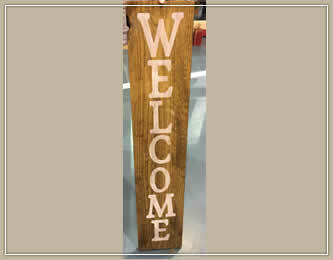 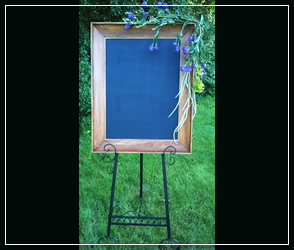 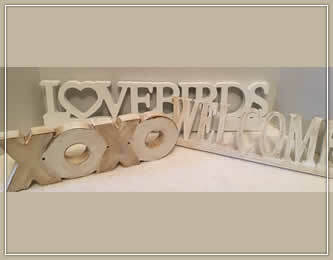 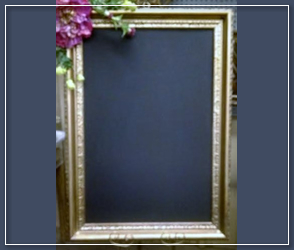 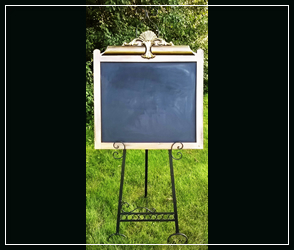 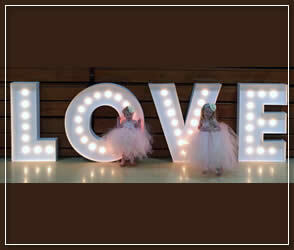 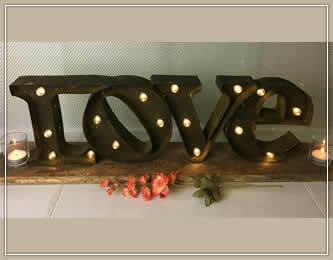 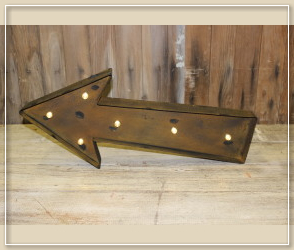 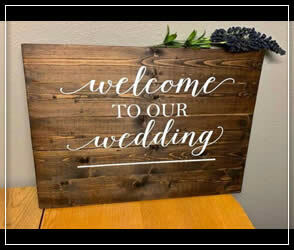 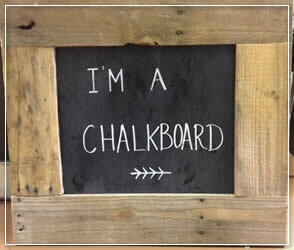 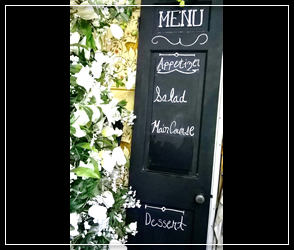 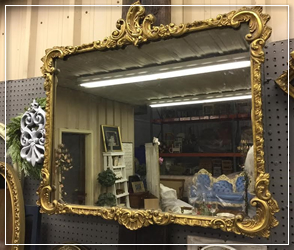 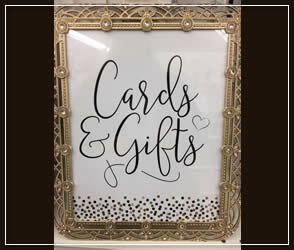 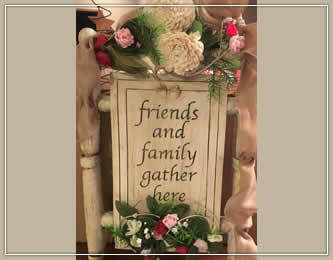 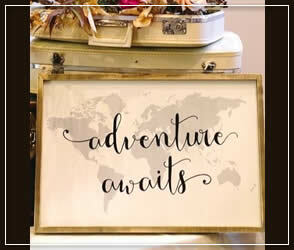 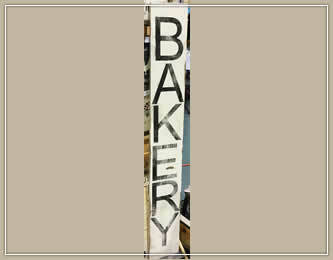 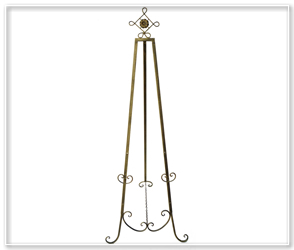 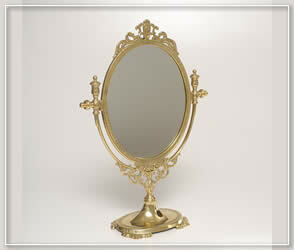 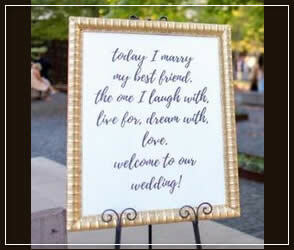 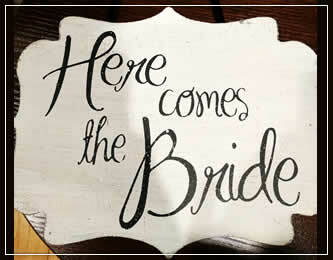 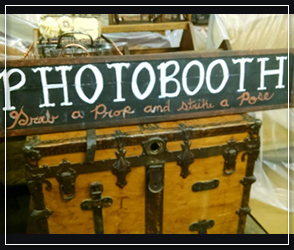 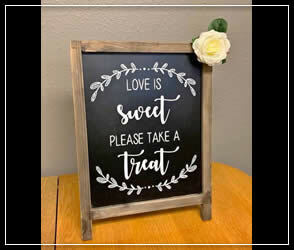 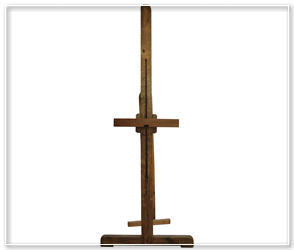 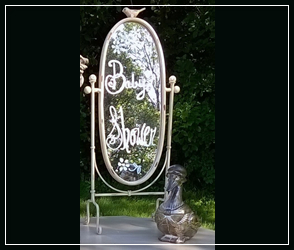 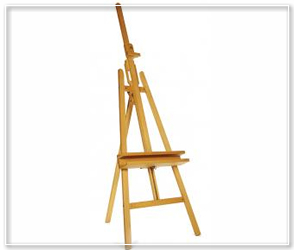 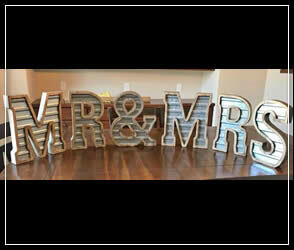 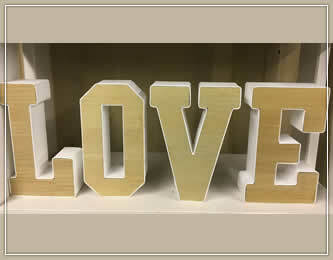 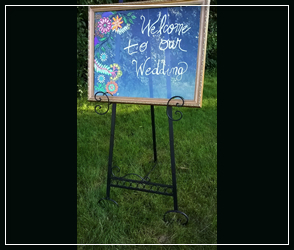 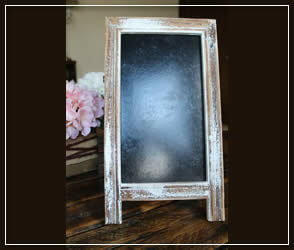 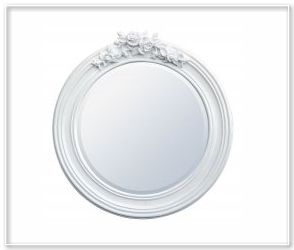 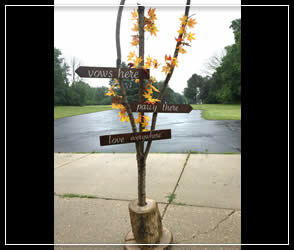 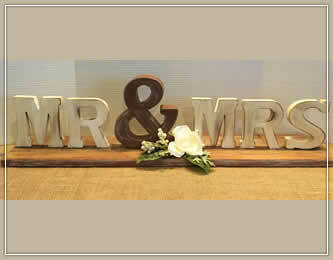 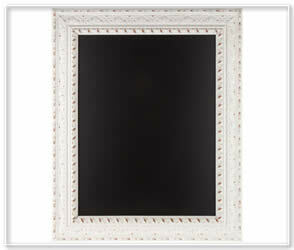 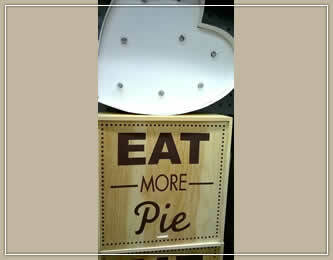 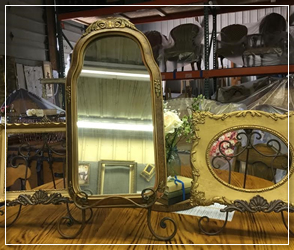 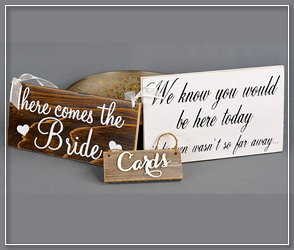 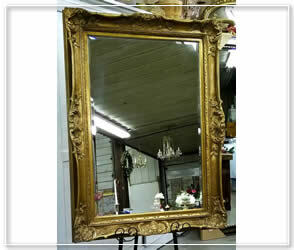 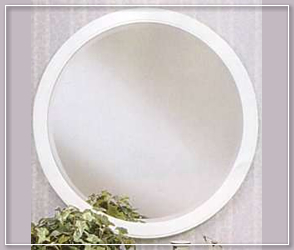 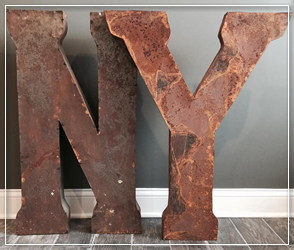 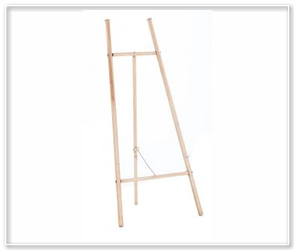 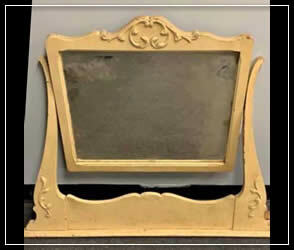 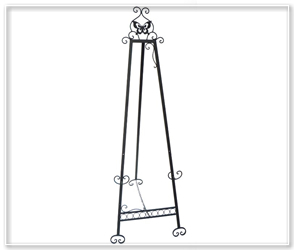 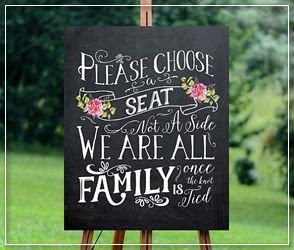 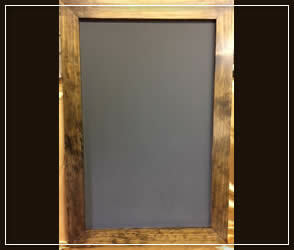 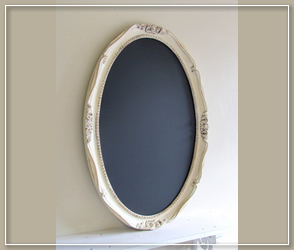 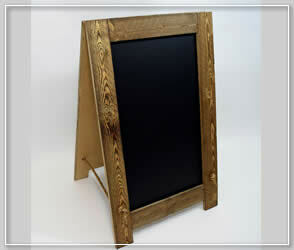 Sign, chalkboard and mirror rental items for weddings, parties and social gatherings. 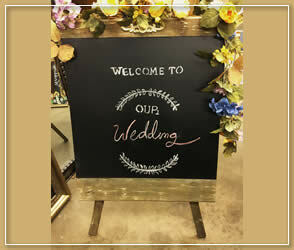 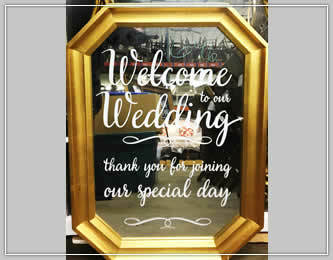 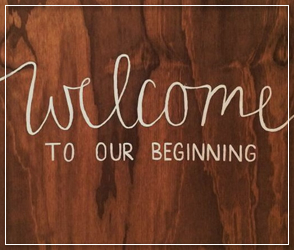 White distressed wood sandwich chalkboard 15"x9"
Gold framed mirror with lettering "Welcome to our wedding thank you for joining our special day"
Wooden and Painted - Here Comes the Bride, Cards, etc. 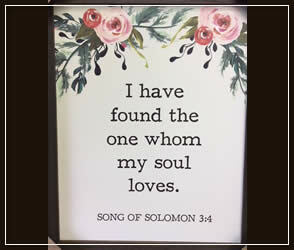 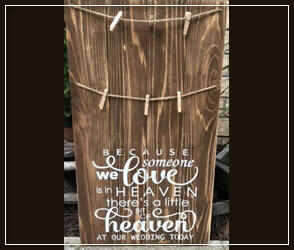 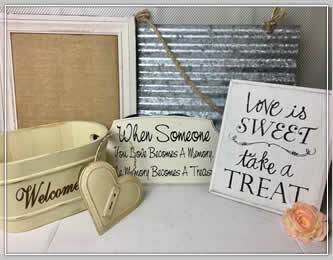 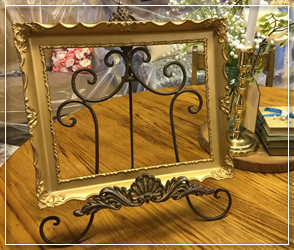 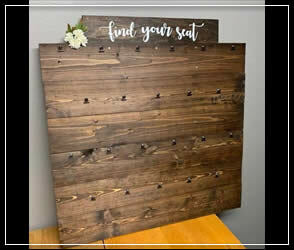 "Friends and Family Gather Here"
Wooden Box 12" X 12"
Painted Frames Sign "I have Found"
Memorial Board with Clothespins "Because someone we love"
Gold scrolled 8x10" frame "Cards & Gifts"
Large Printed sign Gold Frame "Today I marry my best friend"